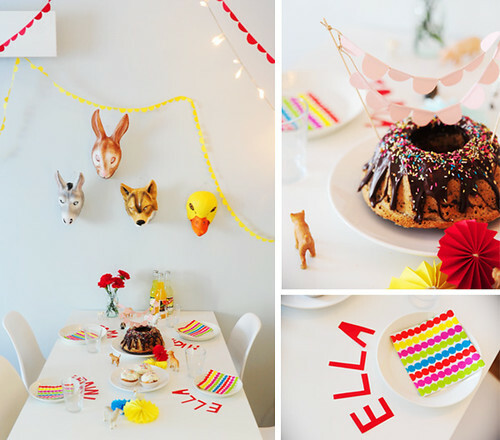 a colorful and quirky birthday spread | Hip Hip Hooray! I love how bunt cakes have become popular – such a fun alternative to the usual Costco sheet cake. I love the look of this party! 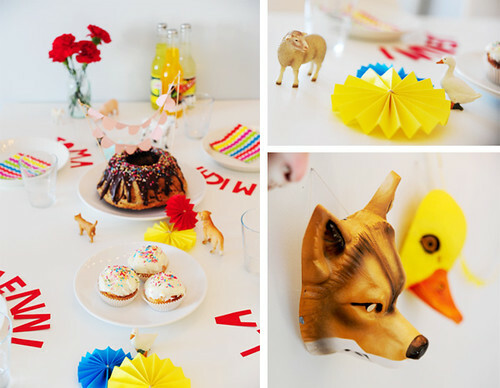 So cheery and bright with such interesting little touches. I’m a big fan of the masks. Any idea where I can get them? hey it is nice colorful paper decorations.